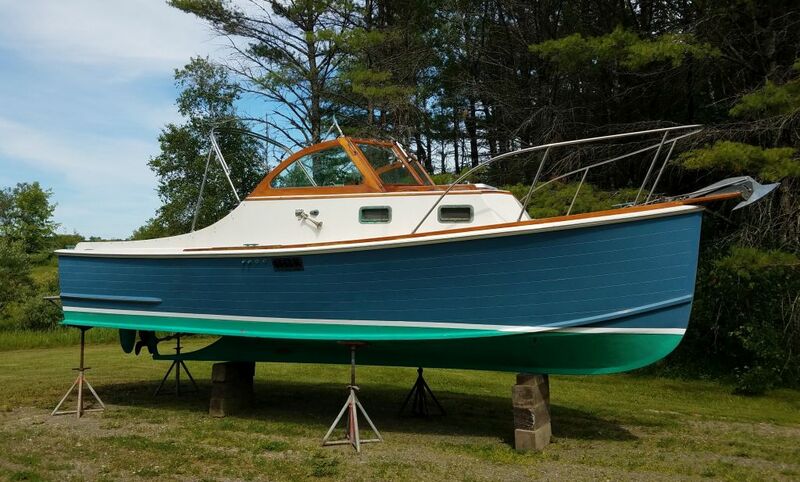 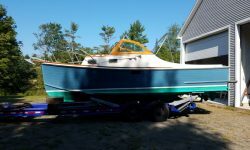 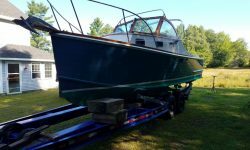 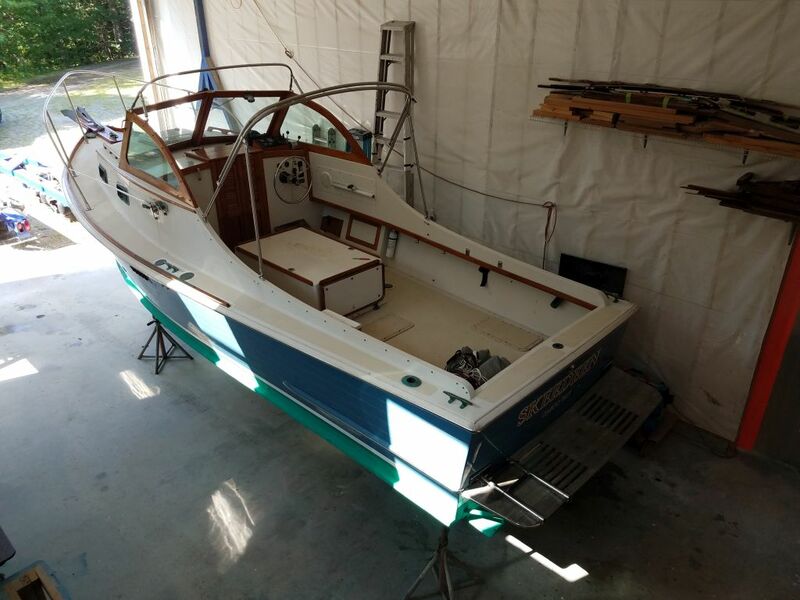 Skeedeen was back for another round of generally minor maintenance and cosmetic upgrading, this time focused on the old (original) molded nonskid on the decks, as well as the never-ending ritual of brightwork maintenance and/or refinishing as needed. 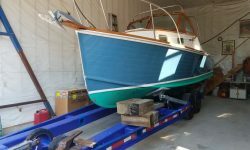 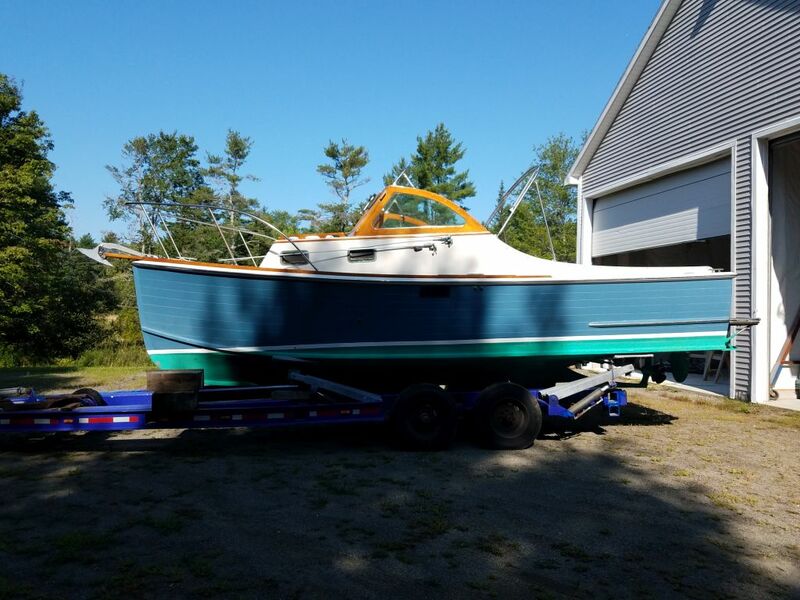 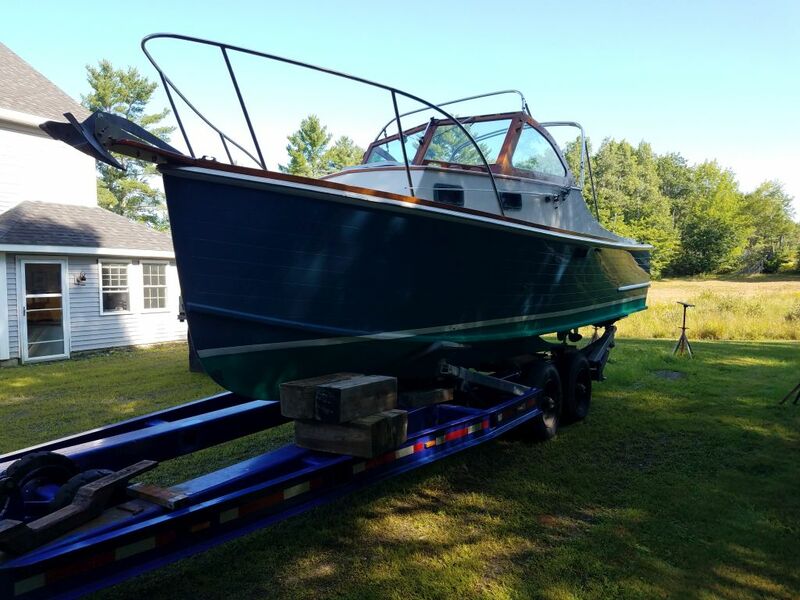 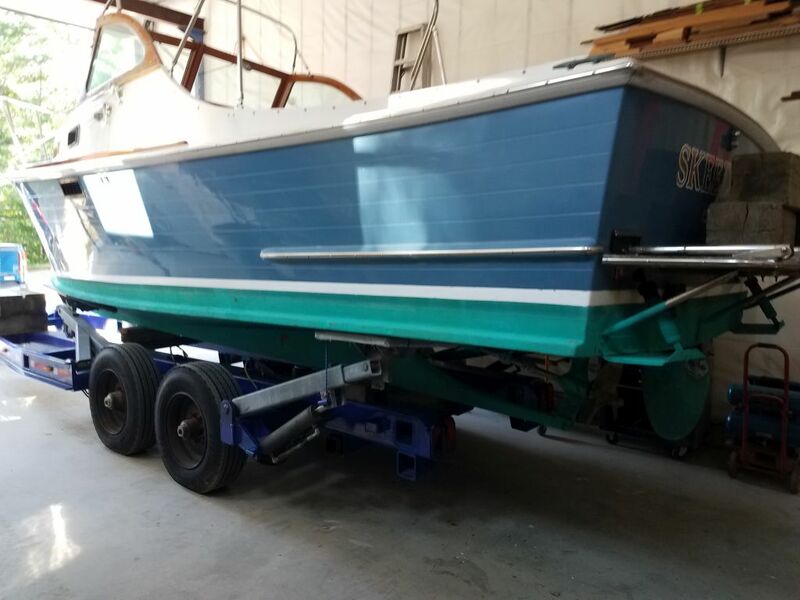 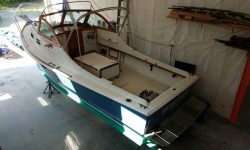 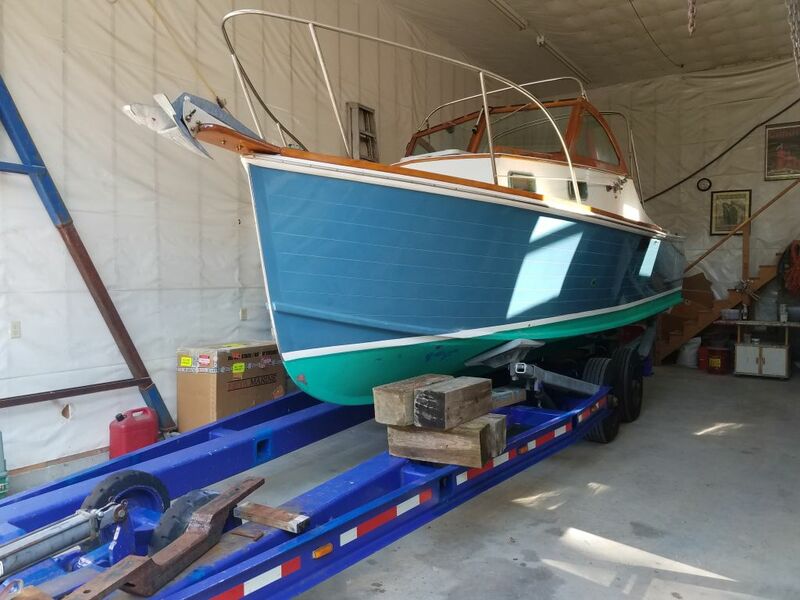 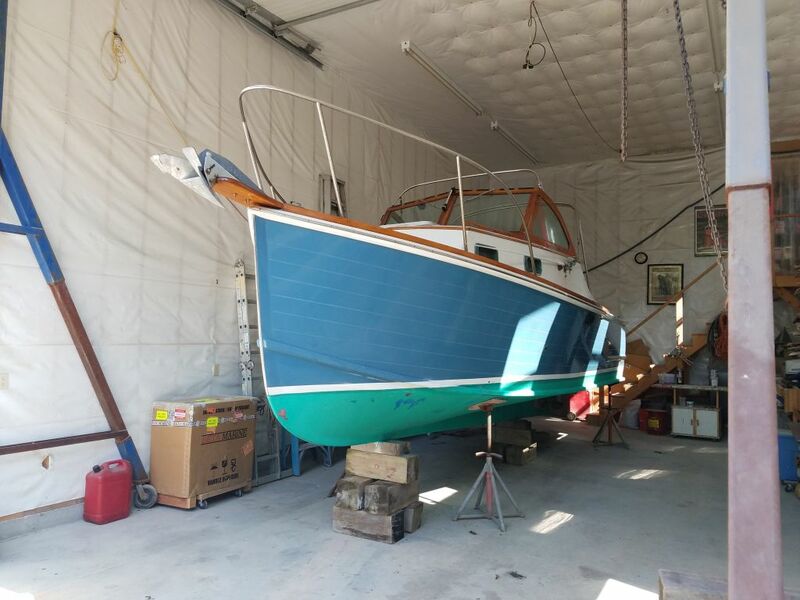 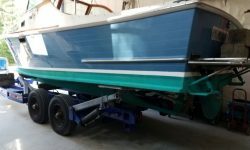 I’d soon assess the existing conditions, but for now my first task was to move the boat into the shop for work; she’d been delivered a bit earlier. 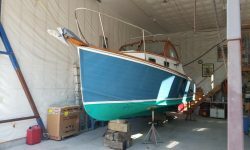 I’d some catching up to do on other projects and some general work around the shop, so with Skeedeen now indoors, I looked forward to getting down to work in the immediate future.